Click here for information from the Rushcliffe Borough Council website, or here for a map. to view the 5 year report please click here. here for St Mary Magdalene Parish Church (10am-4pm). To find out more information on the 'Farms, Barns & Rural Buildings' exhibition, which was held in the Centenary Lounge on Saturday 17th February 2018 please click here. Click here to see plaques and heritage boards commissioned by Keyworth Conservation Area Advisory Group and financed by the Parish Council. The following photographs are courtesy of Keith Barton. 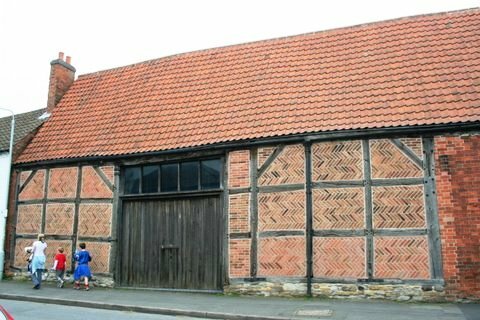 George Martyn's Threshing Barn: erected 1651; originally thatched; a listed building. 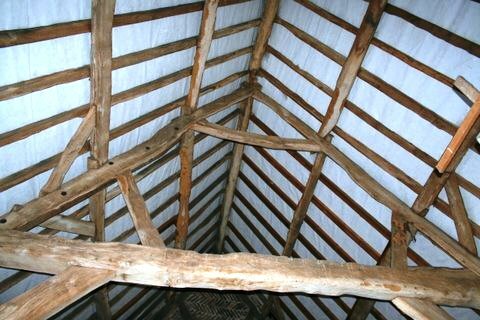 The interior: of a type unique in Nottinghamshire; Queen-post collared rafter structure. 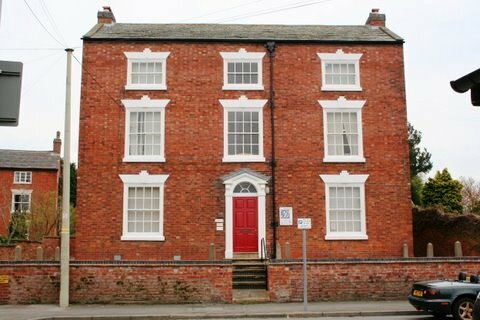 No19 Main Street: a late Georgian Town House c.1790; listed. 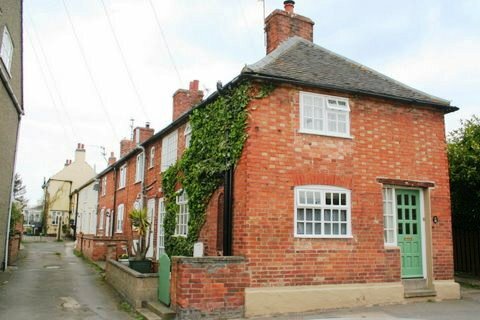 Attenborough's Yard: 19th century Frameknitter's Cottages; the last surviving of several in Keyworth. 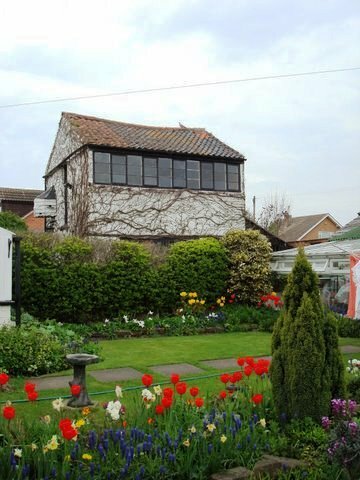 Wysall Lane: 19th century Frameknitter's Workshop: one of two remaining in Keyworth; both listed. 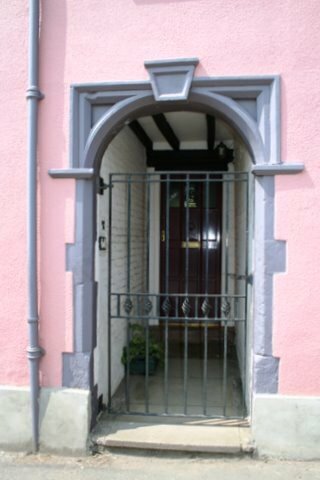 64 Main Street: originally two semi-detached early 18th century cottages with a passage between. Nottingham Road: K6 Telephone Box: by Sir George Gilbert Scott, the designer of St. Pancras Hotel, London. 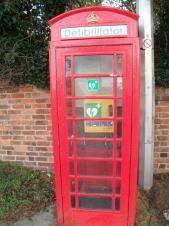 No longer in service, but purchased for a nominal sum by the Parish Council, and now houses a defibrillator.